Hardcover New and Signed Edition. Dust jacket is in fine condition. PLEASE NOTE THAT THIS IS NOT A FIRST EDITION/FIRST PRINTING. Nominated for the Man Booker Prize 2017. 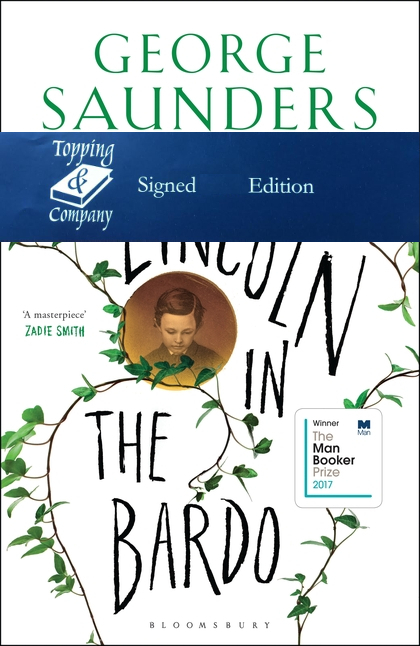 Unfolding over a single night, Lincoln in the Bardo is written with George Saunders’ inimitable humour, pathos and grace. Here he invents an exhilarating new form, and is confirmed as one of the most important and influential writers of his generation. Deploying a theatrical, kaleidoscopic panoply of voices – living and dead, historical and fictional – Lincoln in the Bardo poses a timeless question: how do we live and love when we know that everything we hold dear must end? Please contact the bookshop to discuss ordering this title.